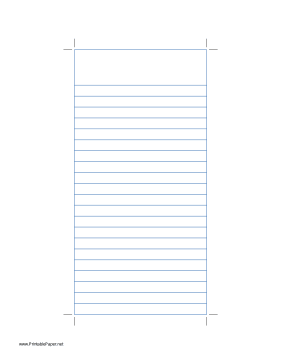 Ruled paper 4.00 x 8.00 inches with 1/3-inch blue lines. This is the paper width used by newspaper reporters for taking notes in the field. We have the same paper with black lines, too.